The Zika outbreak is having a profound impact on many communities in the Americas and concerns of its spread are being felt around the world. Zika virus, believed to spread through the same mosquito which causes dengue, leads to microcephaly, a congenital defect that leaves babies with undersized heads and varying degrees of nerve damage. However, although there is still no conclusive evidence of the causal link between microcephaly and Guillain-Barré syndrome and the Zika virus, there is enough concern to warrant immediate action. 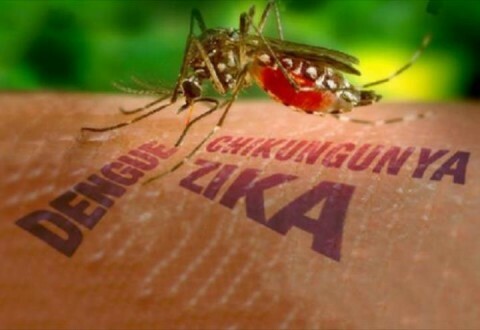 In response to the global call for urgently needed resources to fight the spread of the Zika virus, RB, the world’s leading consumer health and hygiene company has announced a Zika Relief Package of $1 Million USD. The Package consists of both cash and product donations and will be made available to health authorities and international NGOs battling the outbreak. As a global leader in consumer health and hygiene, RB has provided support to communities during previous outbreaks such as H5N1 avian influenza, SARS and more recently Ebola. The company is committed to playing a role in combating the spread of the Zika virus and protecting communities and families, in particular mothers and babies. Simple measures such as mosquito control, prevention of the spread of disease and the use of condoms all play a key role in protecting people from the far-reaching and fast-spreading Zika virus. Through this Zika Relief Package, RB aims to provide resources that will be prioritized based on those areas needing immediate interventions and/ or where it feels consumer awareness and education campaigns can be most effective in protecting the public. The initial investment includes both cash, as well as in kind donation of personal insect repellents and insecticides via RB’s brands SBP, Mortein and Repelex and also the donation of 1 million Durex condoms that will be made available through NGOs and health authorities. RB has already engaged in dialogue with a number of non-governmental organizations (NGOs), both globally and in the region, about how best to target the assistance. RB shall be making further announcements as partners and campaigns are confirmed in the near future. RB recognises that this initiative alone is not enough to defeat Zika. Therefore, the company is hopeful that its initiative will inspire a wider movement within the business community to come together in a show of solidarity and combination of resources to fight Zika. Why is the government not doing anything to screen travellers coming from affected areas?